Under water sometimes quite bizarre creatures are being found. They have extremely rare shapes and often they are not bigger than a few centimeters. Some species live together with a host and manage to camouflage themselves perfectly. A lot of these animals are called critters. Finding these rare creatures is a huge task and to capture them on film or to make a wonderful picture is done by only few underwater photographers. 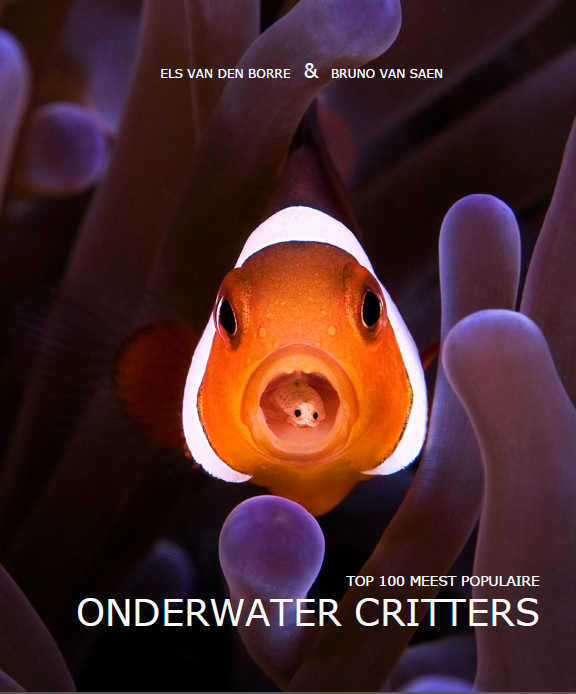 In this book, Els Van Den Borre and Bruno Van Saen introduce you their Top 100 of the most popular underwater critters.